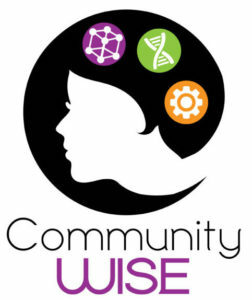 Community WISE (Women Investing in STEM Equity) seeks to build resources and lead change so that every woman and girl in Sonoma County achieves her full potential. We are a coalition of local employers, education institutions, students and community leaders who work to identify and invest in engaging learning opportunities to inspire and prepare more girls to pursue STEM (Science Technology Engineering Math) majors and careers. Community WISE believes that our STEM workforce issues can only be solved by diverse partners collaborating to create disruptive solutions that promote equity for all girls and underrepresented racial minorities. We are committed to women’s economic self-sufficiency and we believe improving educational and career opportunities for girls and women in STEM fields will empower more women to secure economic independence through greater lifetime earnings and increased entrepreneurial opportunities. Join our Mailing List for up-to-date information. 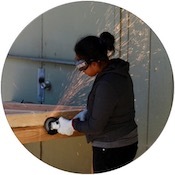 Support opportunities for girls and women in pursuit of STEM education and careers! 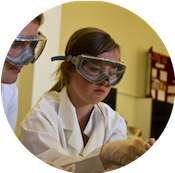 Community WISE is a North Bay resource for girls and women to access and be empowered as leaders in STEM. Community WISE invests in STEM initiatives for girls and women to enrich their learning and career opportunities. Nationally, and in California, the demand for a skilled STEM workforce is growing and STEM jobs offer higher salaries than non-STEM jobs. Women working in STEM jobs earn, on average, 33% more than those in other fields, yet women account for only 24% of the STEM workforce. Women’s under-representation in STEM fields begins early, with gender gaps in STEM interests beginning in middle school and growing throughout high school, college, and career. Far too many girls and women are discouraged from pursuing success in STEM fields. Now is the time for change. New to Rancho Cotate High School this year, the Women in Engineering course aims to educate students on the contributions of female engineers and to train the next generation of strong young women to take their place. Students in this predominately female class learn a variety of design principles and building techniques, including CAD, in the state-of-the-art Maker Space on the RCHS Campus and gain confidence in their abilities to master STEM concepts.The course is so popular that a second section has been implemented to accommodate demand from sixty four students. 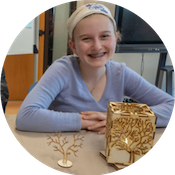 The Girls Tinker Academy, launched in 2018, is a free two-week program designed to engage and inspire middle school girls in Maker activities that encourage the exploration and development of technical, mathematical, and design abilities. The Academy is a partnership between Community WISE and the School of Science and Technology at Sonoma State University. Applications are now being accepted for the 2019 program. Applications are due May 1, 2019. CWISE is developing an online platform designed to deliver an engaging, fun, personalized system to explore local STEM pathway opportunities for women and girls while providing inspiration and encouragement along the way. This platform, working title “STEMgal,” will offer a “choose-your-adventure” user experience tailored to the needs of women and girls in various stages of STEM pursuit, from “STEM-committed” and “STEM-curious” to those who have been discouraged and are seeking new motivation and support through challenges. Services will include access to mentorship, STEM events, internships, education and career development opportunities locally available to the user. The platform will additionally offer employers an opportunity to promote careers to those seeking STEM work experience and/or mentorship. Importantly, the platform is designed and built by young women interested in pursuing careers in computer programming and app development.